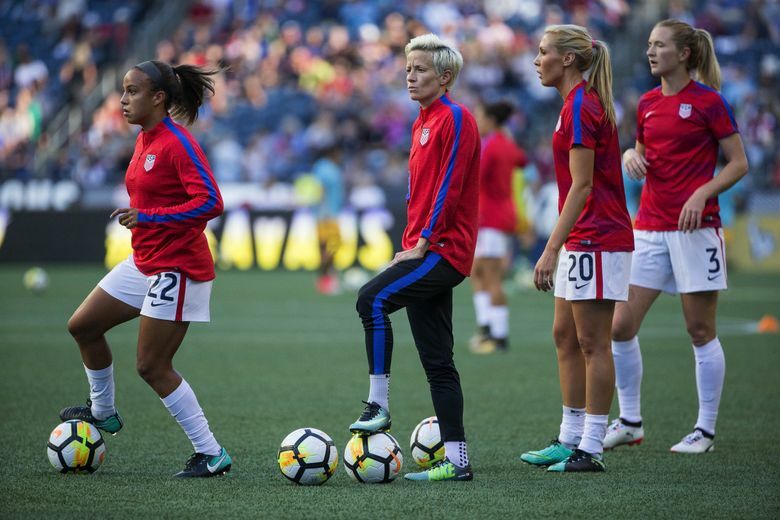 "It's not about defending a World Cup," U.S. coach Jill Ellis said. "It's about attacking a World Cup." The defending champion Americans will get Sweden, Thailand and Chile in Group F.
PARIS — No matter what took place at the draw for the 2019 Women’s World Cup on Saturday night, one thing was never going to change: the U.S. women’s national team would be widely regarded as the favorite to win, with all the hope and expectation and pressure that comes with that. But Jill Ellis, coach of the U.S. team, objected to that framing of her squad. José Antonio Letelier, coach of the Chilean national team, said it could be a scramble for second place in the group. The United States will open the tournament against Thailand (the 29th-ranked team in the world, according to FIFA) in Reims on June 11 and then face World Cup newcomers Chile (No. 38) on June 16 in Paris. Their game against Sweden (No. 9) is on June 20 in Le Havre. That third game will be a rematch of the teams’ meeting in the 2016 Olympic quarterfinals. The Swedes, then led by former U.S. coach Pia Sundhage, won that day, a humbling defeat for the Americans and the first time they had failed to medal in the World Cup or the Olympics. Peter Gerhardsson, Sweden’s coach, tried to put a personal, positive spin on drawing the three-time world champions. For all the history between the two teams, Gerhardsson, who took over for Sundhage in 2017, noted that he had not had the chance to coach against the Americans. The semifinals and final, which will take place July 7, will be played in Lyon. And along with Paris and Reims and Le Havre, five other cities — Grenoble, Montpellier, Nice, Rennes and Valenciennes — will also help play host to the tournament’s 52 games.